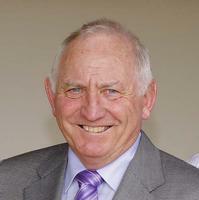 Leon Macdonald has been training full time since 1975 after part time training from 1972. From humble beginnings, with lowly bred horses, Leon has built up an imposing record. Leon has been interested and involved with racing since he was a child, at which time his Uncle was a race horse trainer. Like most young men, Leon was encouraged by his parents to pursue a "formal career" and went to work in the corporate world for the South Australian State Electricity Commission until he was 32 years old. It was a gradual transition to training for Leon. In the beginning he took out his trainer's licence and trained out of his Uncle's stable, starting with 3-4 horses, tending to them morning and night whilst holding down his day job. It was approximately 3 years later that he retired from his corporate career in exchange for a a full time commitment to a life doing what he loved best, working with the magnificent thoroughbred. Right from his earliest days as a trainer his horses had imposing records – the first filly he brought to Melbourne, Scarlet Rhythm, was second to Rose Of Kingston in the VRC Bloodhorse Breeders Plate G2 and was still winning as a 4 year old. Early in the piece Taminor and French Cotton were both class youngsters and the stable has never been without some above average gallopers. Our Bright Halo and Follow The Ride were followed by those class acts Umrum (two G1 VATC Toorak Hcps) who raced successfully for seven consecutive seasons and Gold Guru (his wins included G1 VRC Australian Gns, G1 STC Ranvet S., G1 AJC Australian Derby, G2 MVRC Aami Vase, G2 VATC Aami Classic). In recent seasons his feature race winners include Rebel Raider (VRC Derby), Naden, Great Glen, Debben, Regal Kiss, Make A Scene (Ballarat Cup), Eagle Rhythm (Cranbourne and Bairnsdale Cups, Kattavia (Cranbourne Cup), Shaye Spice (Moonee Valley Horse Of The Year 2002 –03), Lill Lo Lill, Hydrometer (2nd VRC Derby), Dane Belltar (2nd G1 VRC Oaks), and of course group glory with the filly Dilly Dally, winner of the $1 million AJC T. J. Smith Stakes. Majestic Music is possibly the latest stable star with wins in the Group 2 Edward Manifold Stakes, the 2009 Cup Day Plate and a close second in the Group 2 Sandown Guineas. In 2010 Majestic Music also won the Group 2 Yallambee Classic. Leon has always been a patient trainer, giving horses a good chance, prepared not to push them too hard, rather give them a proper lead up time. His patience and resilience are part of his key ingredients to training successfully. In the 2009 and 2010 season Leon took on a partnership with son-in-law Andrew Gluyas who trains with him at French Cotton Lodge stables. Together Andrew and Leon have the combined experience and attention to detail that allows them to work efficiently and effectively, both in producing results with their horses and servicing their clients. To find out more about Andrew Gluyas, click here.